Hello loyal readers, my apologies for the gap between posts! I’ve been a very busy girl, having just moved into a new house! After lots of planning, weeks of packing, and days of moving, I am sore, exhausted, and sublimely happy to be moved in. That being said, let’s get down to beauty. I am always on the lookout for great beauty products at every price range. And this time of year, when the Holidays are creeping up on us, I find myself both drawn to the holiday beauty displays (there are so many!) and overwhelmed with guilt if I purchase something for myself. After all, I’m supposed to be doing my holiday shopping! So this week I’ve decided to share a few of my favorite cheapies, so you, too, can buy yourself a little pretty, without a lot of cash (or guilt). Aquaphor Healing Ointment: This miracle cure-all is as good as everyone says it is. Especially in colder winter months, I keep a tube in my purse, one in my desk, and one on my nightstand. It’s super moisturizing and protective. I use it on chapped lips, dry elbows, and my sore nose after a cold. My boyfriend puts it on his face to avoid windburn before cold weather outdoor activities. It’s a wonder-product, and you can get a two pack of the mini tubes for around five or six bucks. Worth it. Suave Tropical Coconut Shampoo and Conditioner: Ringing in at about two dollars and fifty cents a bottle, Suave Tropical Coconut Shampoo and Tropical Coconut Conditioner both smell amazing. Imagine the way your hair would smell if you were on a tropical getaway and smothered yourself in sun tan lotion and tropical perfumes, while sipping exotic beverages out of a coconut shell. That is how good this shampoo smells. As an added bonus, it makes hair super soft without becoming greasy. Wet N Wild Idol Eyes Creme Shadow: For a whopping one dollar and ninety-nine cents, go buy yourself one (or several) of these creamy eyeshadow crayons. They glide on easily, look gorgeous on, and wash or wipe off easy too. My favorite shade is Pixie, and shimmery beige. Here we are, mid-January, smack dab in the middle of indoor heating season and sub-zero temperatures outside. Despite gulping down as much water as I can stomach each day, and even with diligent application of lip balms and glosses, I’m being plagued by a persistent case of chapped lips. Even my trusty ol’ standby Burt’s Bees isn’t solving the problem. Here, some helpful hints on how to heal (and prevent) chapped lips. 1. Exfoliate. There are many ways to do this, and you may want to vary your technique depending on the severity of your situation. You can gently brush a dry toothbrush over your lips, or rub a dry, rough wash cloth over them to loosen dead skin and create a smoother, less irritated surface. If your mouth is really dry and burning, you can get some relief from Laura Gellar Lip Strip, a cooling sugar scrub designed especially for exfoliating dry lips. After massaging the scrub over your mouth for 30 seconds, you will enjoy a pleasant cooling sensation and a noticeable reduction in any flakes of skin that might have formed on your mouth. It is not a permanent solution, though, and you will definitely want to follow up with a balm of some sort. 2. Moisturize. Keep adding balms and glosses to your mouth to ease the dryness and help create a barrier against elements that worsen the situation. Right now I’m alternating between Burt’s Bees, an Avon lip moisturizer, and Philosophy Red Velvet Cake gloss (see page Glosses & Balms for more info). 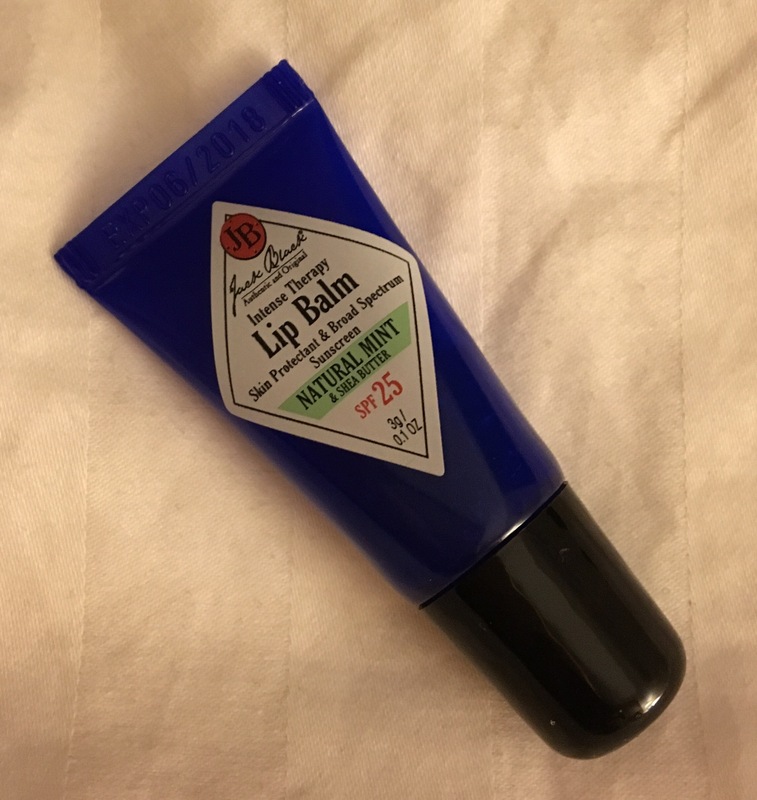 When my lips are really dry, I find that layering vaseline or a thick lip gloss on top of Burt’s Bees before bed is an extremely effective way to heal and moisturize chapped lips. After a few nights of that treatment and you should be back on track. 3. Hydrate. I’ve said it before and I’ll say it again, drinking plenty of hydrating fluids can help boost your health and your beauty. It helps keep your immune system up, keeps skin (and lips!) from becoming overly dry, and really adds a nice glow to your overall appearance. Keep a water bottle on your desk. And to all of those water-haters out there, do your skin a favor and try Crystal Light or some other on-the-go water flavoring trick. For about 5 calories you can turn a bottle of plain water into a delicious fruity drink. All while saving yourself the trouble of having to repair your poor chapped lips.